Four years ago, BJP minister for primary school education in the state of Karnataka, one Mr. Kageri, declared that all those who opposed teaching of Gita in schools should get out of the Country.He did not specifically say that they should go to Pakistan. The ludicrous if vicious “go to Pakistan” phraseology was not yet coined by his party. So far as I am aware, Gita is not taught in Kannada schools (except may be in some Hindu Madrasas) , and kageri’s state subjects shunted him and his party out of the government not long after this statement. 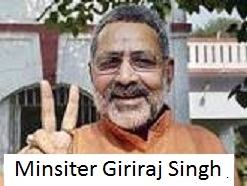 In April 2014, Giriraj Singh, now a cabinet minister of India, no less, said all those who opposed Narendra Modi should go to Pakistan. 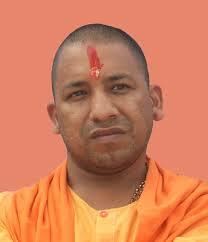 In November the same year, ‘Yogi’ Adityananth said “ ‘Crow’ Azam Khan of Socialist Party should be sent to Pakistan. 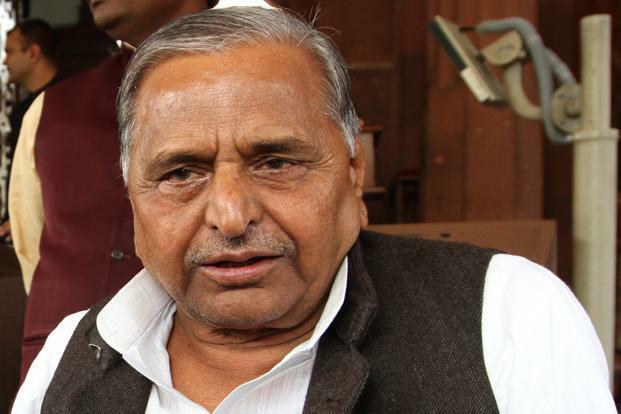 Earlier, in September, he suggested that Mulayam Singh Yadav, the leader of the same party, should go and settle down in Pakistan. In the case of Mulayam it was a suggestion, but for Azam Khan, it was an order. Crow is a derogatory term used in parts of India against people of the Muslim faith. 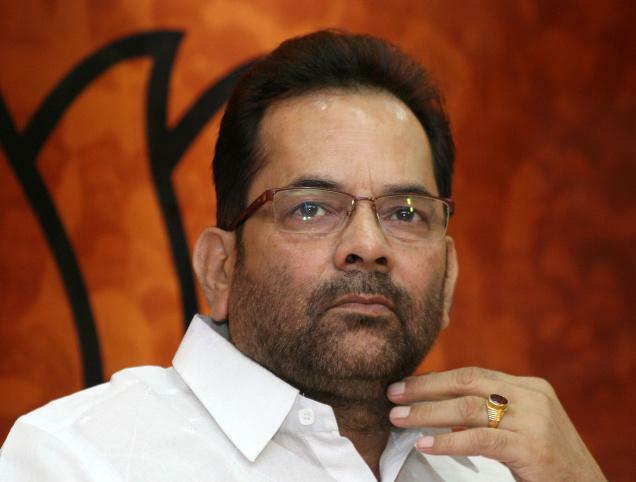 The next one to prepare a migration list to Pakistan was a Muslim Minister – Mukhtar Abbas Naqvi in the government – not necessarily but possibly with a potful of beef inside him He justified the ban on cow slaughter and asked all those who wanted to eat beef to go to Pakistan. He said that in the wake of a ban imposed on eating of beef in the state of Maharashtra by a spiteful combination of religious bigots – BJP and Shiva Sena. That he didn’t suggest that they go to Kerala or North East where beef is eaten by men of all religions except a fastidious few was certainly intended to please his bias and to spite the Sunni majority. The latest to send bona fide Indian citizens to Pakistan is a saffron-clad woman who calls herself Sadhvi (Saint or one who renounced the material world, if you like). She had demanded all those who are opposed Yoga should be sent to Pakistan. You don’t want to study Gita, Get out. I studied Gita, and I believe that someone in the eleventh of twelfth century extracting and re-writing an episode from the great work of Mahabharata and eulogising violence was an attempt at making a direct attack on Buddhism that preached non-violence and was becoming an impediment on casteism. Despite the fact that my family has a different view, I will not advise any of my future generations to read Gita as a guide, but to read it as one would read Mein Kampf. I believe It is a dangerous book – just as Old Testament and Quran that call for killing of enemies and decries those who shun bloodshed (‘hypocrites’, Quran calls them). You are (or, now that is fait accompli, you were) opposed to the election of Mr. Modi, go to Pakistan. I believe that the elevation to the Prime Minister’s chair a staunch RSS man with a history behind him, on the strength of 31 percent of the voting electorate is a dangerous mistake. If, like Narayana Murthy you believe that his quality of leadership should vindicate him from his complicity – direct or indirect – in 2002 mass killings , you would be proved very wrong. Modi’s quality of leadership is such that he has not be able to shut up his party men or followers from making dangerous statements and inciting violence against minorities while he himself says Muslims, Christians are all equal citizens of the Country. As a placatory gesture, he greets them on their celebrations. 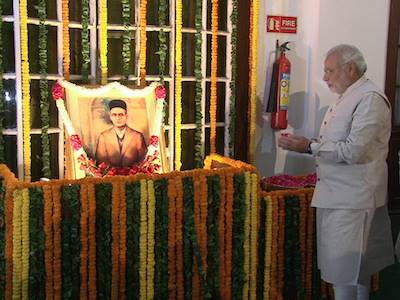 Mr. Modi worships Vinayak Damodar Savarkar, who, according to Sardar Vallabhai Patel, was involved in the murder of Mahatma Gandhi. Savarkar escaped the noose that fell on his accomplice Godse because the judge couldn’t find corroborative evidence to a witness’s statement (which came later, but too late). Modi got a portrait of the coward who apologized to the British twice in writing and promised never to fight for India’s freedom again (and never did), but to direct his ire towards Muslims. Modi got erected a statue of Savarkar in PortBalir alongside the statues of those who gave up their lives – a park near the jail where Savarkar wrote out his letters of abject surrender to the British No, Sir. I didn’t vote for Modi, wouldn’t vote for him even if he manages to last five years without splitting the Country. Mulayam Singh and Azam Khan should be sent to Pakistan. If Pakistan would accept the duo, I shan’t mind. Mulayam Singh was the power behind the failure of the Parliament to pass a bill to give 33% reservation for women in elections. He is backward in his views, against progress of all kinds, and nurtures goons in his state. Azam Khan is a foul-mouthed goon who slips in and flicks out of favours with Mulayam. Oh, yes. Please pack them off if you can. Good riddance. Those who want to eat beef should be sent to Pakistan. Though I am an avowed vegetarian, I have many Pakistan friends, and from what I hear from others, their Beef cooking is beyond compare. So when the tension is relaxed, and there is more friendly communication across the borders, it is not a bad idea that some of you go to Pakistan to eat beef. While that might be a day far off, you might visit Kerala, where other states up to and including Maharashtra send their expended bulls and bullocks for the dinner table. Until breeding and killing of all animals for food or otherwise ends, I will support the freedom of a carnivore the choice of his meat. And, for that, I will certainly not go to Pakistan even if I get a free visa. Those who do not support Yoga /Surya Namaskar should be sent to Pakistan. I neither support nor oppose yoga. I do not agree with Prachi or any other self-styled saint that yoga is a part of our culture…Culture is a transitory way of life that shifts stance from generation to generation and differs from place to place. In the South, marriage between cousins is a norm, in Haryana, marriage within the same sub-caste (Gotra) is punishable by death. While faithfulness to husband (not the other way around) is praised almost universally, there are castes where siblings marry the same woman. I have seen this practice in the South, Punjab, U.P, North-East and as far as Ladakh. Who represents your culture – Madam Prachi, Draupadi or Sita? Yoga has nothing spiritual about it. It’s a series of stretching and breathing exercises invented and adapted differently by each teacher of Yoga. To that extent, yoga is a secular form of ground exercises – just as push-up and back-bends are. It is a ridiculous suggestion that Muslims’ salat (form of prayer) is a form of yoga. I have not heard of any Yoga practitioner winning an Olympic medal, doing better than others in an intelligence test, inventing a complex machine or discovering a new phenomenon of nature. Some doctors do sugest yoga – as a minor supplement to the medicine and physiotherapy that they prescribe. When I asked my cardiologist if deep breathing the yoga way would be good for me after the bypass, he gave me a whatchamacallit with three balls to practise deep breathing. I know that a footballer (Eoghan ‘Gara) attributes his success to yoga practice, but I doubt Pele, Madona or Bekham or Messi practised yoga. 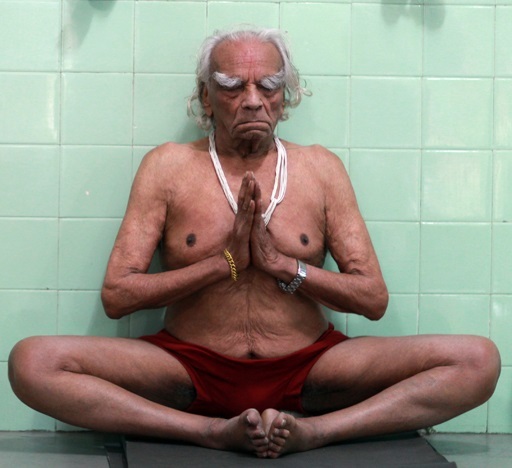 The only known Yoga practitioner I know who lived till the age of 95 is BKS Iyengar, the man who invented a different version of Yoga than practised by others. Khushwant Singh lived till a month short of hundred by drinking scotch whisky every evening without fail. Jawaharlal Nehru practised Shirshasan (headstand asana) for the better part of his life, but died at the age of 75 – my age. Yoga does not increase your height – take a look at Ramdev. Yoga does not give you a good figure – you’d know what I mean if you had noticed how Sri Sri Ravi Shankar’s lanky frame carries a bulky paunch. I know a man who practises yoga to de-stress. I have never seen him relaxed in any situation. Like Jesus Christ, I see him cursing trees tables books, his and scooter and finding faults with his disciples for not being like himself. Suyra Namaskar, whatever its health benefit, is by definition a Hindu form of worshipping the sun. I can understand why a Christian or a Muslim would not want to do that – not that I have any admiration for their forms of worship. So I do not support Yoga or sun-worship. But try sending me to Pakistan.